Much of the rejection felt by those in church with mental health problems comes from accidental actions and words, delivered with no intention of causing anyone harm. The following is designed to help us consider the effect we have and discover how we can make church a more inclusive, supportive place. When this question was put out on social media, the response was overwhelming. The vast majority who gave their opinions were not professionals, but people from within churches, struggling with mental health issues themselves. Below is a list of tips, compiled from their responses. 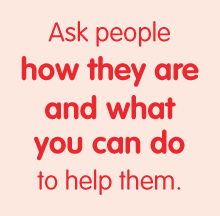 • Ask people how they are and what you can do to help them. • Avoid speaking about someone’s mental health with them because you don’t know what to say. • Assume you know how they can be helped. When you know someone has a mental health condition and is particularly ill, ask them how they are, in the same way you would ask someone with a broken leg. They may not want to divulge every detail of their ups and downs each week, but asking: ‘How are you doing this week?’ and letting them guide the conversation shows that you’re interested in their welfare, and allows them to respond as they choose. Asking someone what you can do to help in a practical way takes this one step further. It may be that they don’t want any help at that time, but in the same way as your church might cook a meal for someone just home from hospital after an operation, the offer of support lets them know that people are there for them if needed. • Take the time to understand what a diagnosis means. What is depression? What is bipolar? • Take the time to speak to the individual involved to see how this impacts on their life. It’s important we recognise that mental health problems are more than a bad week, or a weak mind. Learn what it means to have the mental health condition that someone has, and then ask them how that looks to them. It will be different for each person, so try not to assume that just because one person hid away and didn’t want contact during bad weeks, someone else will be the same: they may actually need a text or a coffee. Each individual will be able to tell you what they need. • Talk about mental health, both one to one and from the front of church. • Include those in the congregation with mental health problems in any conversation about how to help those struggling with mental health, as they will often have helpful insight. • Use language that lessens or belittles their health. • Talk about ‘us’ and ‘them’. It’s important that we think about the language we use. People can be hurt by what we say – but this is usually due to our not knowing what to say, rather than a deliberate attack. For example, whilst the desire is often to encourage people to think positively, sometimes it’s helpful to let them know that you understand how hard a challenge that can be. The language of ‘us’ and ‘them’ is exclusive. With 1 in 4 people having a mental health condition, the reality is that we are all affected in some way. Recognising this fact will help us to adapt our language to be inclusive. • Follow up with people if you notice their absence – a quick text to say: ‘Hey, noticed you weren’t there today, is everything ok?’ can go a long way. • Include those with known mental health problems in serving within the church in the same way as any other church member: they have gifts they would like to use. • Put pressure on people to attend church, or completely ignore them if they don’t. • Make a decision for someone that they are not currently fit to serve. Include them in the decision-making. Often people with mental health problems might struggle to attend church services, for a variety of reasons. Trying to find a balance where concern is shown, but pressure is not applied, is ideal to prevent people feeling either isolated or burdened. Including everyone in the life of the church through serving lets people know that they are a valued part of the church, and it means that as a church we don’t miss out on the unique gifts God has given them. • Include those with ongoing stories of mental ill health in testimonies given from the front. • Only have testimonies that end happily or in ‘victory’. It’s very difficult if, when you go to church, everyone who speaks seems to be successful and together. 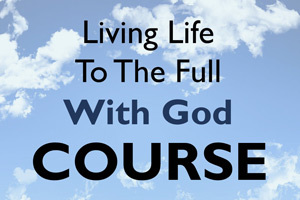 It’s important to give testimonies that show God at work – but this does not always need to end with everything being ok. Having a balance of continued suffering that God is working through, along with those who have gone through tough times and come out the other side, gives hope for the future while not excluding those who have an ongoing struggle. It demonstrates that they are not alone. • Draw attention to those in the Bible who lived life with God, but also lived through incredibly difficult times. • Ignore what people want prayer for. • Tell them that it is a result of their failure, or sin, that they are ill.
Often people are told that prayer, joy and faith are the way out of mental illness. This is not always a deliberate message, in fact it usually comes through someone’s desire to help. However, recognising that mental illness is not a simple issue with a straightforward answer will help you to walk alongside those with mental health problems, supporting them in their faith rather than condemning them.